Mark Carney says policy-makers are working diligently to devise an international “bail-in” regime to prevent big bank failures, but he offered no guarantee global depositors would be protected under all circumstances. Canadian savers with accounts in the country’s six systemically important banks need not worry, however, he said at an event in Washington hosted by Thomson Reuters. “Canadian institutions have substantial unsecured debt obligations in the wholesale market and as well as other classes of capital, and they have substantial capital as well, so once you stack all of that up, regardless of whether one would look to reach into it…it’s hard to fathom why it would be necessary,” he said. Asked if this would include non-insured deposits — those over $100,000 — Carney referred to a previous statement from Finance Minister Jim Flaherty’s office that depositors were excluded. The statement makes no distinction between insured and un-insured deposits, but it is unlikely Ottawa would guarantee the latter. The Canadian central banker, who is a few months away from heading the Bank of England, says banks must have a set of buffers in place to draw on in an emergency. 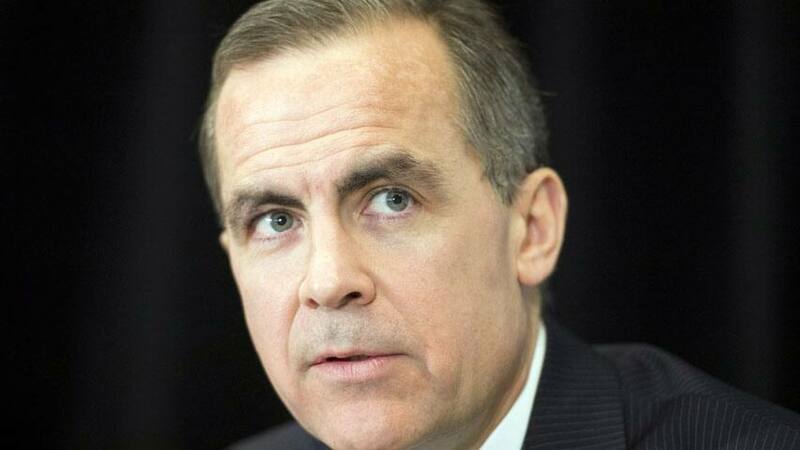 Speaking in advance of G20 and IMF meetings, Carney appeared to disagree with the approach taken in Cyprus last month that involved taxing deposits, but would not state his personal position because he said it might be misconstrued. “The bail-in approach broadly speaking, not bail-in as it was performed a couple of weeks ago in Cyprus, but bail-in as a component of addressing systemic risk…is an absolutely necessary element, it doesn’t solve everything but it’s absolutely necessary,” he said. The March budget announced that Canada intended to implement a “bail-in” regime for systemically important banks to ensure that in case of failure, there would be no need for governments to bail them out. In Canada, those banks are the Royal Bank, Scotiabank, the Bank of Montreal, the Canadian Imperial Bank of Commerce, Toronto-Dominion and the National Bank. In his comments, delivered before an audience in a one-on-one interview format with Reuters’ Chrystia Freeland, Carney said the idea of a bail-in would be to set up a queue of capital buffers that banks could dip into to avoid failure. It likely would include some types of deposits. “You should have a sense of the hierarchy, you should have a sense of the presumptive path in which entities would be bailed in and in what order, you should have comfort that’s it’s going to be co-ordinated across jurisdictions and within all that context, investors, regulators, shareholders, broad creditors of the institution of a bank should have a sense that there is a sufficient set of buffers of pure capital, but also bail-inable capital,” he explained. The interview was heavily-weighted toward international issues and Carney’s next job at the Bank of England, but there was also some Canadian content. Carney said he believes Canada’s housing and household debt issues were both moving in the right direction, but if the problem returned, interest rates could be raised sooner than otherwise might be necessary to avert a bubble. He noted a number of measures had already been taken to slow the market, a reference to four separate occasions in which Flaherty tightened mortgage rules, as well as lending practices.